All the best packed lunches are made from leftovers, particularly on a Monday after a Sunday roast. 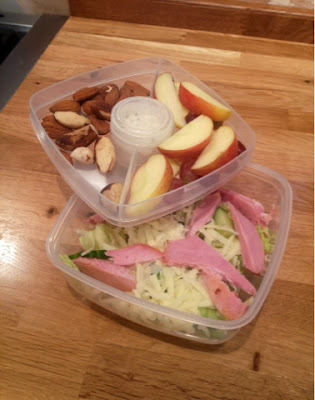 This lunch has all the best things about a cheese and ham sandwich (something we all love) but without the stodgy bread, a great healthy alternative. This lunchbox also works whatever your Sunday lunch was, the gammon can easily be substituted for chicken or beef etc.